Dr Jengo's World: Another Review by our Special Guest, Samael Statue from Darksiders! 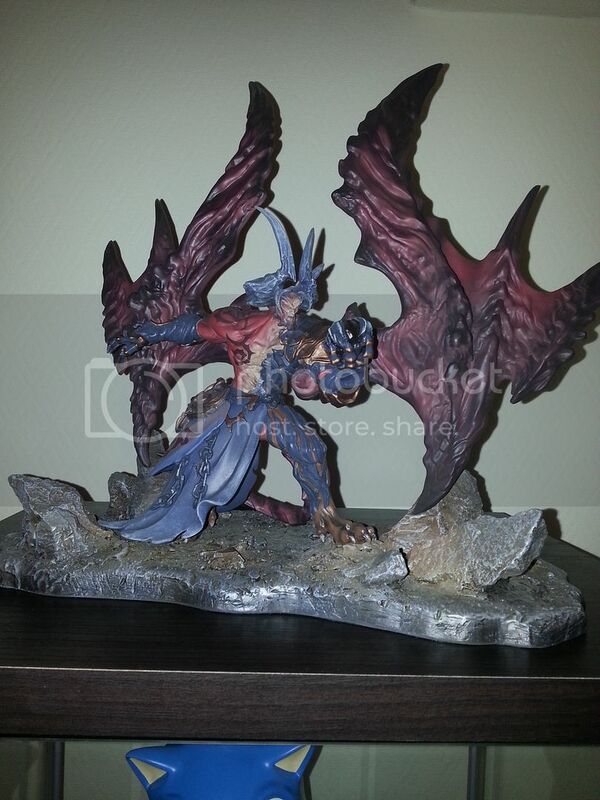 Another Review by our Special Guest, Samael Statue from Darksiders! Delayed a bit but I did that on purpose.. I wasn't expecting this review from Alexander but I guess he did it just to taunt me... Like the Death and Despair Statue, I don't have Samael as well.. So here it is.. 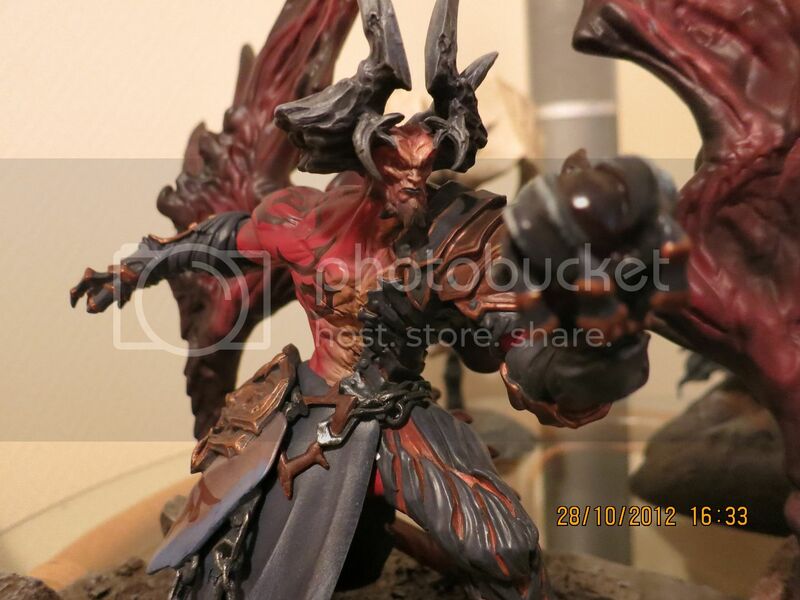 The Review of Darksiders Samael Statue by my good friend, Alexander Hauge! The stage is yours, Alexander! 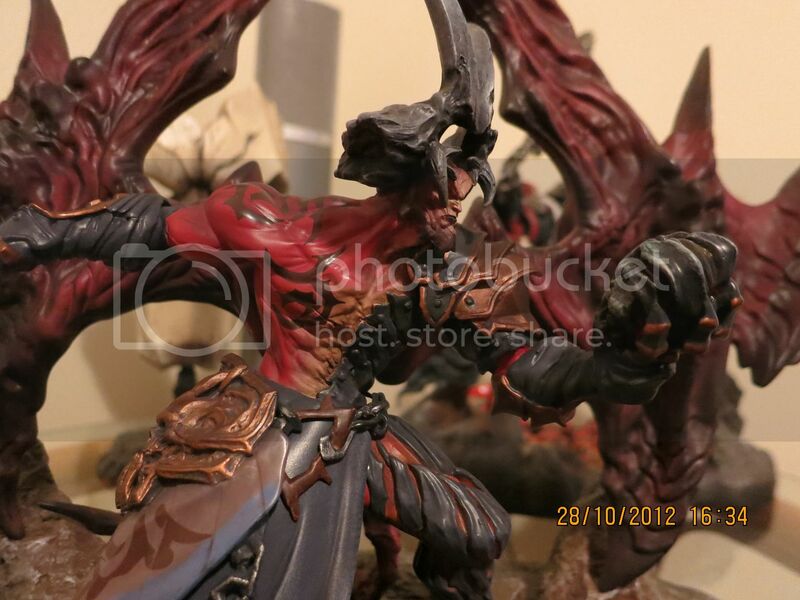 Samael is the 2nd statue of the Darksiders series made by Sota Toys. The statue comes in a very nice box with artwork by Joe Maduera showing Samael holding the heart of one of the chosen. 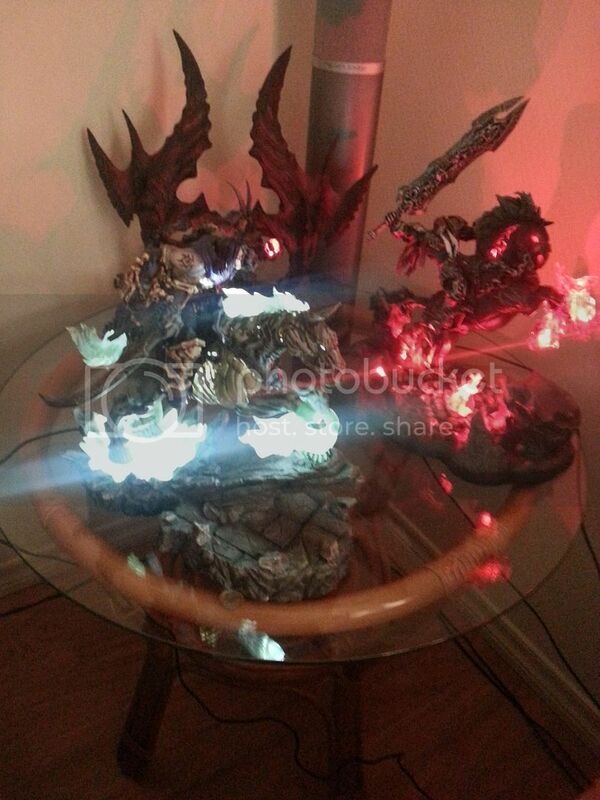 The box is the largest of all the three Darksiders statues. Maybe thats why Samael arrived with without a single fault or scratch. The most important things is that it was well packed. The statue comes in 2 parts. The base and Samael. Putting it together is self explanatary and very easy. Just like the Death Statue, Samael has a much better paint-job than War and Ruin. He has details on his face down to the smallest detail. His claws, his armor all show details with great accuracy from the game. His wings are gigantic, and surprisingly strong quality to it. Since this was my second statue from State of the Art Toys, I was astonished for how much they had improved after the War statue. Don't get me wrong. I really love the War and Ruin statue. But compared to Samael and Death, it stands out as dark with less details. Like the other statues, this one also has LED function. 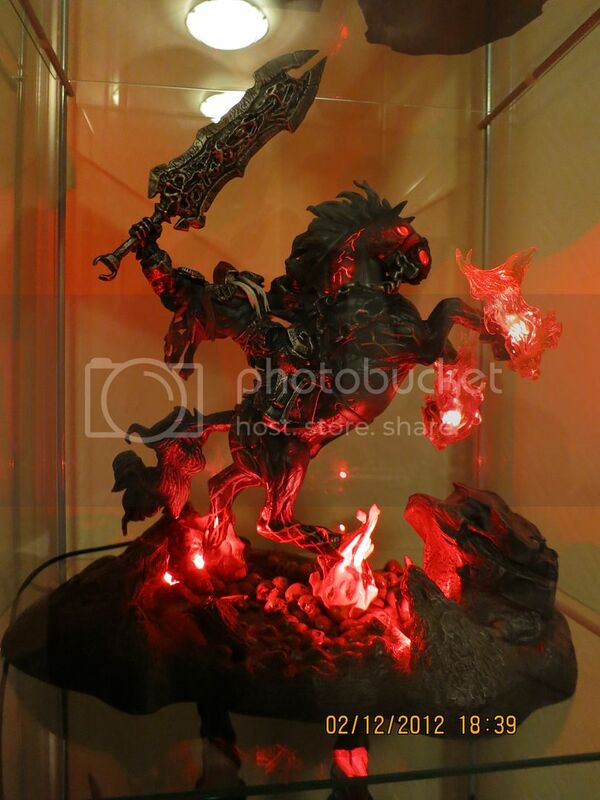 On their website, Sota Toys says that the Heart of the Chosen is glowing with a hella bright light, and a second function is to use this statue as a night light. My own opinion; The LED effects could have been much more. 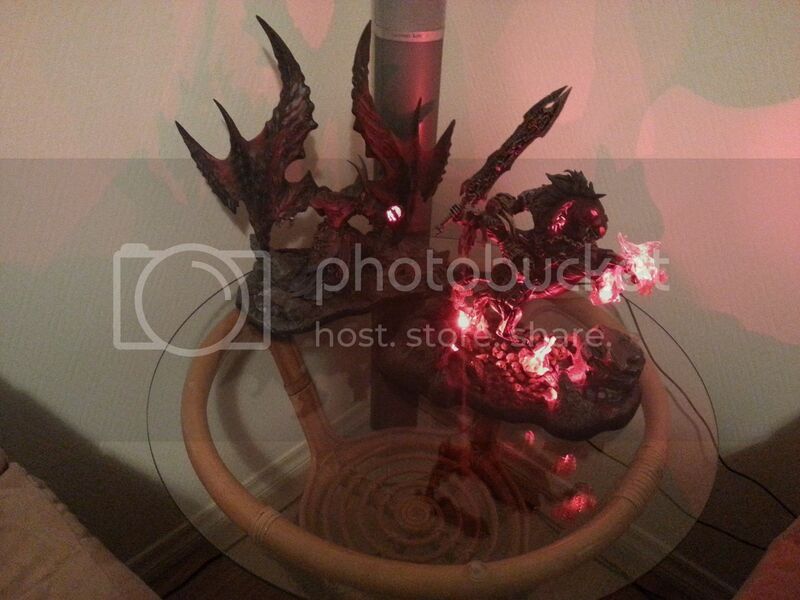 The LED effects is not bright enough to show Samael's face looking at the Heart in the dark. Although the lights is a gimmick for many collectors, I think they could have made the effects stronger. Maybe some lights behind his wings. It's still on sale and with 350 copies made. 150 less then War and Death statues. Would I recommend it? Yes absolutely, but If you have to choose between Samael or Death the answer is simple. Choose the Second Horseman! Fantastic Review once again, Alexander! Thank you for your time. I got to say his collection looks fantastic! 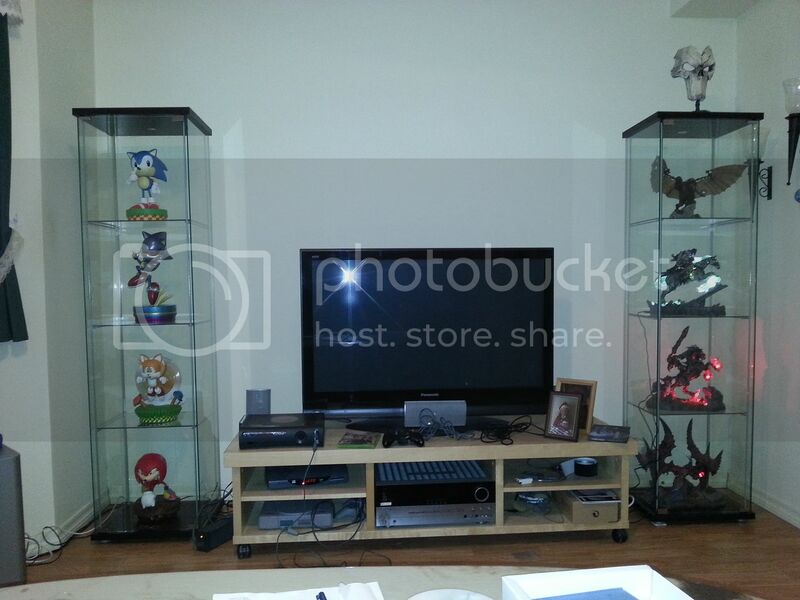 I'm kind of tempted to get the Samael statue as well now. Looks fascinating!